This storm was the worst in the memory of folks here in Unalakleet Alaska. 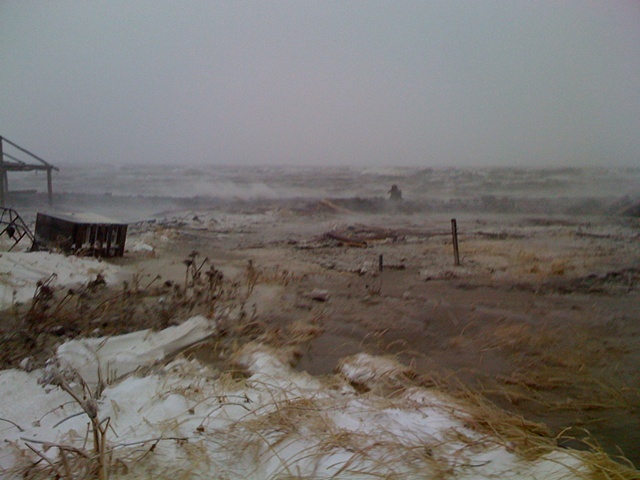 We expected more damage (no one was hurt and damage to property was minimal) but the waves actually extinguished themselves by carrying huge amounts of ice to the shoreline where it created a large blanket that quelled the waves themselves. That part was lucky. The discouraging part is being a first hand observer to another example of global climate change. It seems to be arriving far sooner than any of us expected, and it is a bit spooky to think that our planet could be transformed into something quite different in our lifetime.